Outsourcing IT services has become a prevailing business strategy that many Phoenix area companies are employing. Recruiting and retaining an in-house IT staff is expensive and building a qualified staff with the right credentials is time consuming and difficult. You can cut costs and receive top notch service by opting for outsourced IT services in Phoenix. Outsourcing your IT helps your staff stay focused on their core duties and not be distracted by complex IT decisions. Every manager has limited time and attention. Outsourced IT service providers can take on and manage any form of complex business need or risk with specific industry knowledge. itSynergy has helped many small to medium size businesses, in Phoenix and surrounding areas, increase their ROI while lowering costs. small businesses could implement to run their companies on Microsoft technology. Over the years, itSynergy has perfected this system and has been proven time and time again to understand the needs and goals of small businesses, and the role that technology plays in achieving them. Outsourcing IT services lets you focus your human resources where you need them most. Outsourced IT teams provide a more consistent and controlled monthly expense, no longer requiring you to allocate valuable human workforce towards a role they may not be trained for. This gives you the ability to focus on what truly matters, while a team of experienced professionals can manage all your IT needs. Security is a concern for any company, whether you are located in Phoenix or another city. 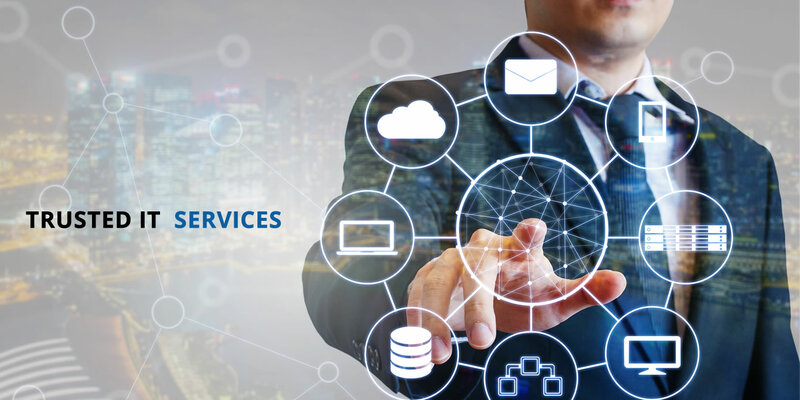 By outsourcing your IT to a Managed Service Provider (MSP) you benefit from the constant awareness and remediation that an MSP puts into security. Michael Cocanower, President of itSynergy, became a Certified Ethical Hacker in 2018. Through his expert guidance his company is able to understand and manage cyber-attacks from hackers; using specific, expert-led techniques to combat security issues, keeping your sensitive information safe and secure. When it comes to disaster recovery – be it a fire, flood, cyber-attack or human error – your business’s data is your most important resource. While most businesses are not equipped for such disasters, outsourcing IT services will help to get your company back on its feet a lot more quickly. itSynergy Phoenix offers solutions that let you plan ahead, provide a Disaster Recovery and Business Continuity Plan, and test all your systems to be sure you have nothing to worry about. Outsourcing your IT is a very important decision your company will make. By choosing itSynergy, your data will be better protected, backed up by our knowledgeable team of experts and organized in the most streamlined way possible.